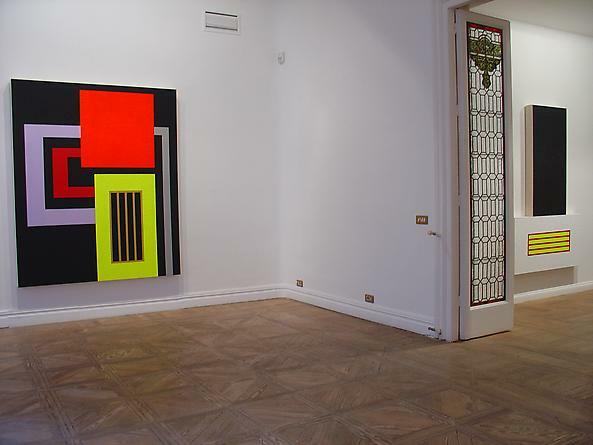 La Galería Javier López is pleased to present a major joint exhibit with Galería Senda and Galería des Angels of new works by the American painter PETER HALLEY (New York, 1953). The visual impact of Halley’s work is huge, immediate and explosive. This is partly due to his use of scale, color and sharp outline. Halley creates compositions that use Day-Glo and acrylic paints and areas of stucco texture to create subtle or brilliant effects. 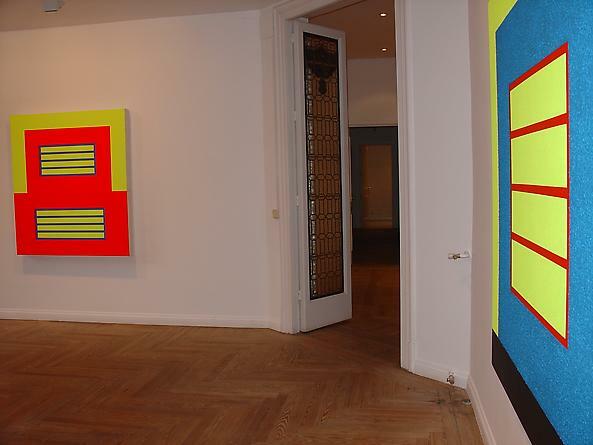 Despite his clear roots in Pop Art and Minimalism, the artist refers to his own practice as an intuitive project that gives way to a separate living space for his imagination. The notion of geometry as a social metaphor has served as the starting point for Halley’s entire artistic practice to this day. 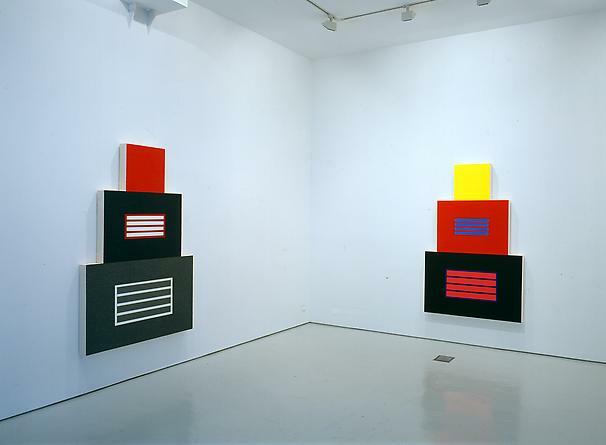 Halley’s iconography reflects his predilection for the element of the rectangular cell. Conduits connect the isolated cells to each other. Overall, Halley’s work presents a contemporary metaphor of urban existence. In this way, the artist’s entire oeuvre becomes the bearer of a deeper social message; the representation of a social landscape that reflects connectivity in terms of isolation. 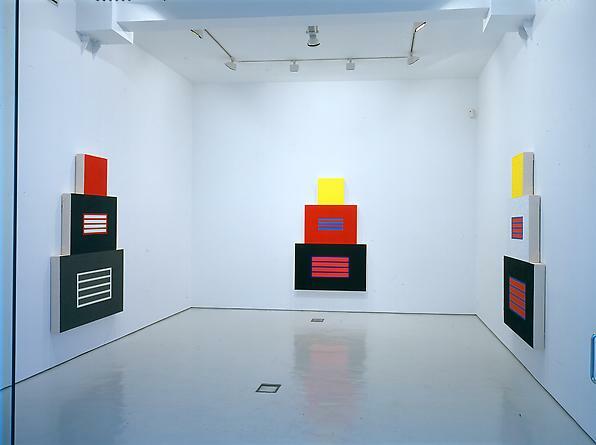 This exhibition brings together a range of works that capture variations of the “cell theme” – an engaging subject that caught Halley’s attention in the early eighties. He originally produced the cell as an analogy to a prison, a critic to an idealist and formalist Modernism. But, the idea of the ‘cell’ grew in Halley’s eyes. The artist started exploring implicit differentiations of the meaning: from a concrete idea– like an empty room – to a broader visual reinterpretation of the concept - in the field of new technology. 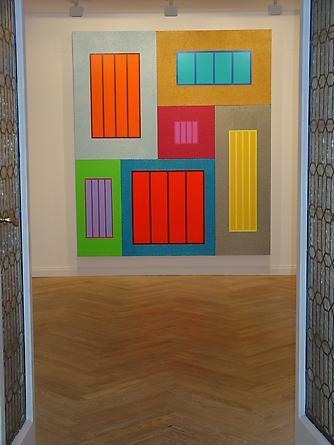 - Formally, the cells seem to be like window frames divided by horizontal and vertical lines. Further, the intersections created by these straight lines are covered with a uniform mass layer of colour and different textures. 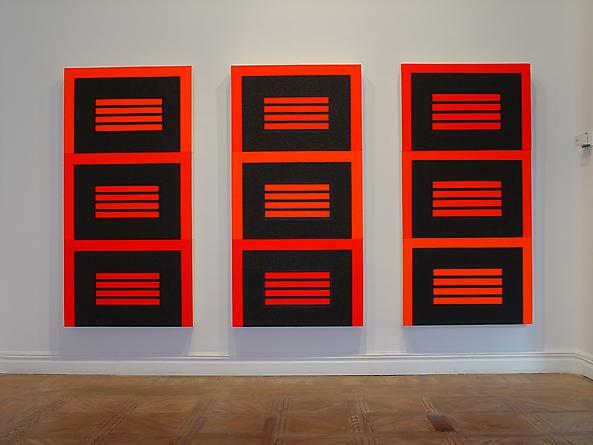 Consequently, the final effect distorts the viewer’s illusion of perspective towards the three - dimensional images, playing with the concepts of normal and inverted depth. Having explored in his last series the combination of canvases with drawings and digital wall diagrams, the artist returns strictly to the painting practice. 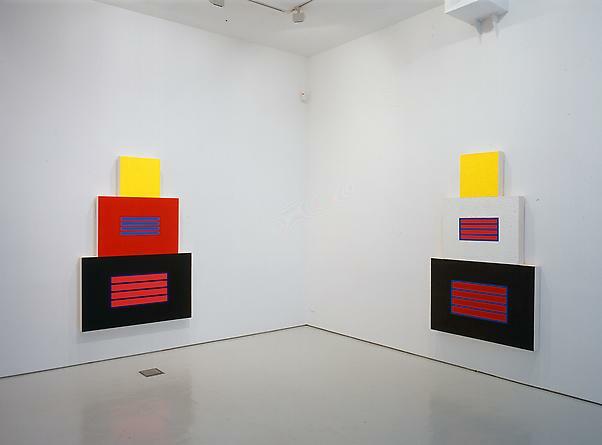 Halley’s understanding of formal analysis is suggested in his control over the elements of art and principles of design. 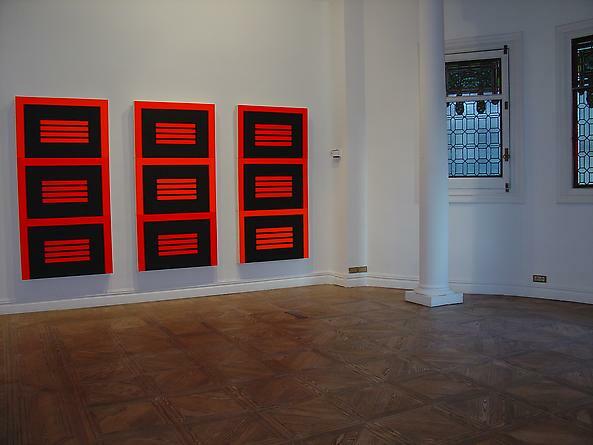 Within this context, the artist chooses to exploit the different effects created from varying the proportions, superposition or combination of his prisons and monochromatic panels. 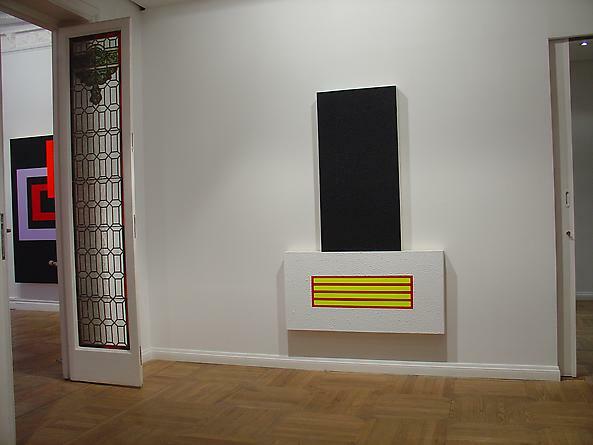 Besides the painter’s appearances in numerous group shows, – including this year’s Venice Biennale and his participation in 2004 in the exhibition “Singular Forms (Sometimes Repeated)” at the Guggenheim Museum in New York, – Halley has had numerous solo exhibitions among other venues at the Musée d'Art Contemporain in Bordeaux, Museum of Modern Art in New York and Kitakyushu Municipal Museum of Art in Japan. He was recently appointed director of graduate studies in painting / printmaking at Yale University.